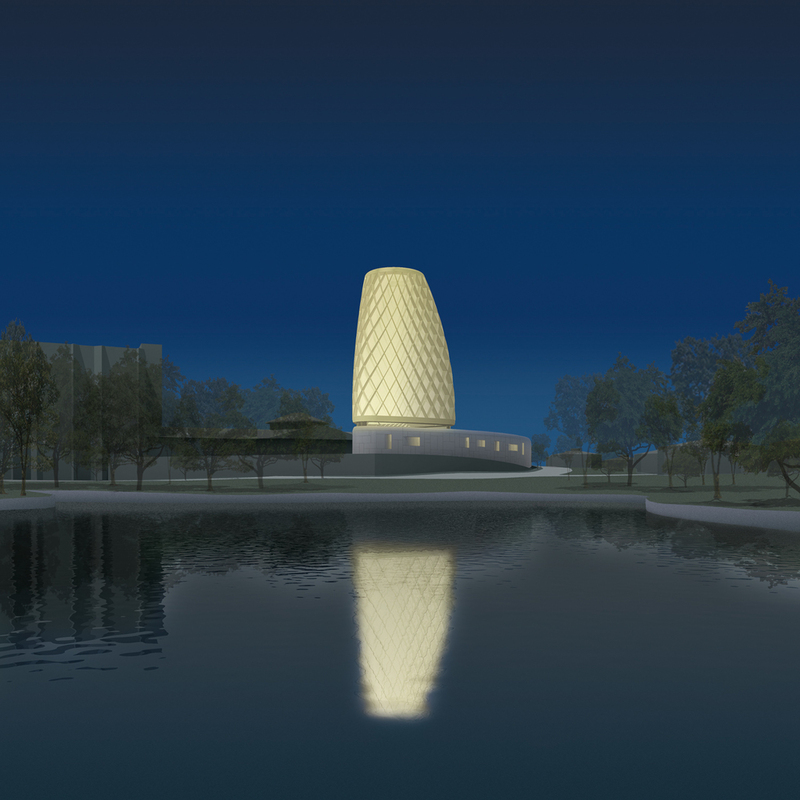 The design of the Chapel seeks an inspiring sacred space which endeavors to acknowledge the unique background of its intended users - military veterans and their families. The design proposal is composed of a one-story structure linked to existing structures and surmounted with an 88-foot tall lantern that serves to bring natural light into the Sanctuary and serve as a landmark within the community landscape. This lantern, located at the east end of the chapel, can be seen from throughout the community and serves as center and navigating device throughout the expanding residential complex. Extending from the one-story base to the west is a curving wall that leads worshippers into the Chapel, and partially encloses a Chapel Garden, a new public amenity open to all residents. This garden serves as the introduction to the Chapel, and can be used daily as a space for quiet contemplation, as well as for support of other community events (meetings, weddings, concerts). The sanctuary is designed to be similarly flexible; seating can be configured to a variety of layouts or arranged to support musical events or religious meetings.